How Long Can I Keep Eggs For? 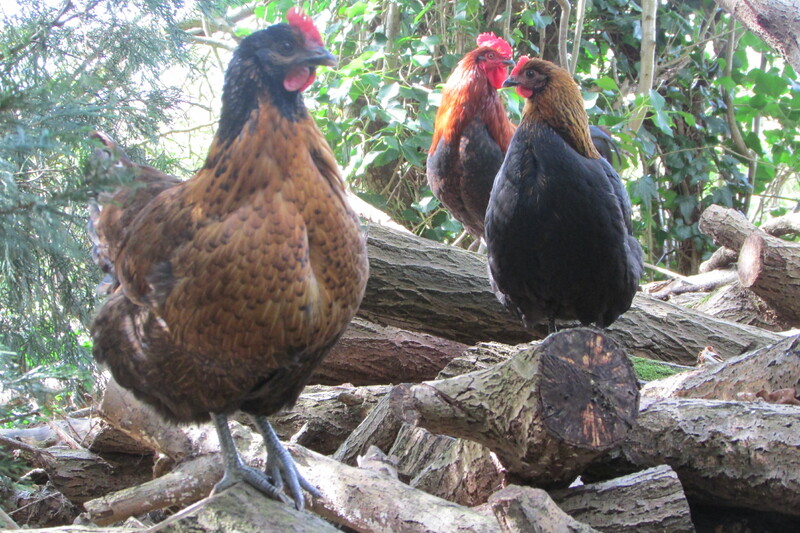 When hens lay eggs, they do not come with the neat red ‘use-by’ date stamped on them, so it can be difficult to know how long to keep them before they should be thrown away. I have done a little research. There are four types of eggs – fresh ones, stale ones, bad ones, poisonous ones. You can eat the first two, and will be ill and possibly die if you eat the fourth choice. You would never eat the third choice – bad eggs – because they stink, so we can ignore those. We’ll start with the poisonous ones. Poisons, or ‘pathogens’ in eggs are different bacteria. The worst of these seems to be salmonella, a rod shaped bacilli which causes salmonellosis (which can put you in hospital). Salmonella lives in the gut of animals, and seems to affect a lot of chickens (possibly because they have been farmed so badly). Salmonella affects other animals too, it is only chickens who get bad press. You should be careful around pets, especially reptiles, as they are well known carriers of salmonella (beware the cute turtles in the fish tank). Salmonella is the reason your mother tells you to be sure to cook chicken thoroughly. A hen with salmonella can pass that into her eggs, mainly by her poop falling onto the shell. If you cook those eggs right through (no more runny yolks for breakfast) then, if the egg has been stored correctly, you will kill any traces of salmonella that might be present. However, I like runny yolks, and mayonnaise, and mousses made with raw egg – so there is another way. Eggs in the UK and the US are treated differently. If you buy eggs in the US, they should be found in a chilled cabinet of less than 40ºF, and put straight into the fridge when you get home. If you buy eggs in the UK, they will just be on a shelf, not kept cool at all. Why? This is because eggs are treated differently in the US. After they have been laid (within 30 days) they will be washed, with water at 110ºF and a detergent. This is to remove any bacteria from the shell, because the shell is porous – bacteria can get into the egg through the shell. (A hen with salmonella can infect the inside of the egg, but only if the bacteria is in her ovaries. Most eggs are infected via the shell.) However, washing eggs is not altogether good, as it also washes off the egg cuticle or ‘bloom’. Ah, you might ask, what is that? Well, you can’t see it, but the outside of an egg has a protective coat, which keeps moisture in and bacteria (some bacteria) out. When an egg is washed, this cuticle can be damaged, which means more bacteria can get into the egg, so after washing, they should always be kept in a fridge (because bacteria doesn’t grow when it’s cold). This does not solve all the problems, as after an American shopper has bought the eggs, they need to take them home. If the journey home is warm, condensation can form on the cold eggs, which makes a nice moist surface for bacteria to start growing, and because the cuticle has been washed off, it can sneak into the eggs. So, if you’re American, and buy eggs, you should probably cook them properly. 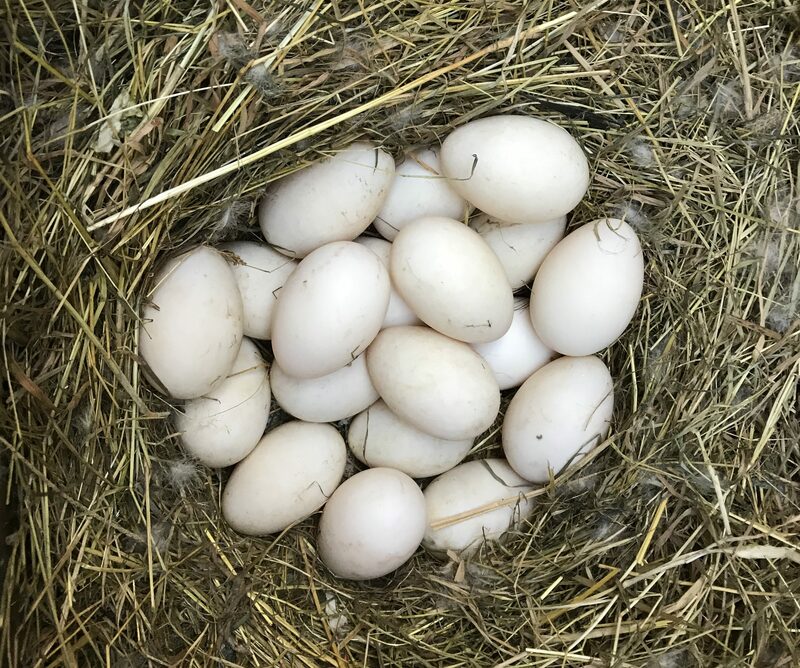 In the UK, farmers treat the birds rather than the eggs. So hens are vaccinated against salmonella. This means they will not infect the eggs, and nor will their poop if it falls on the shell, so they’re not washed before they are sent to the supermarket. Which means the cuticle is intact, which means they don’t need to be kept cool. Eggs from vaccinated birds are stamped with a red lion mark. 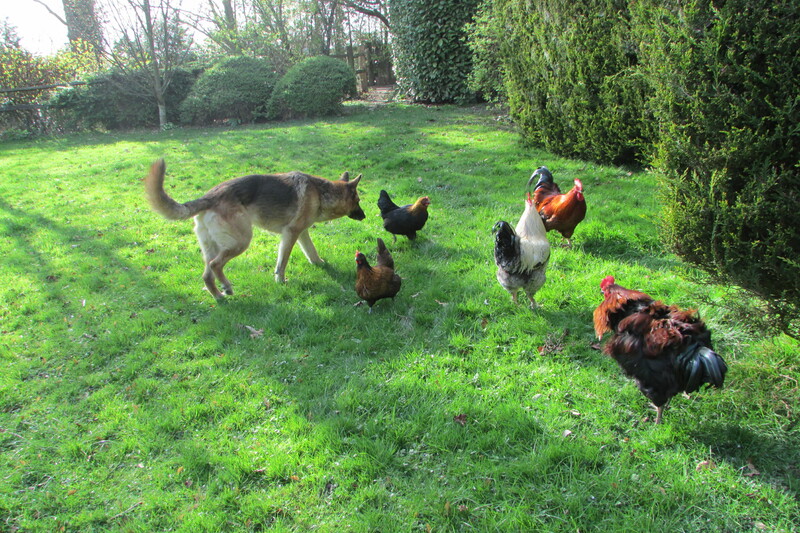 However, I get my eggs from the chickens in my garden. I asked my vet if I should have them vaccinated against salmonellosis, and he asked if they appeared ill. I told him no, they are happy, if somewhat stupid, and seem perfectly healthy. He told me that a bird infected with salmonellosis would appear sick, so my birds are fine. I therefore eat runny yolks, and have never been ill. If I ever have more than 350 birds, or sell the eggs commercially, then there is a legal requirement to have them tested. But if I have more than 350 birds, my husband will leave and I’ll be homeless, so eggs will be a minor concern. Should you wash eggs? I guess it depends how you do it. Cold water can make the egg absorb more bacteria, hot water can crack them. Detergent destroys the cuticle. If you plan to hatch, rather than eat, eggs, then you are not supposed to wash them. However, if the weather is wet, my hens bring lots of mud into the laying box, and I do tend to wash that off (and they still hatch). Some farmers replace the lost cuticle with other things – like oil, to try and make the eggs last longer. The trouble is, the egg absorbs some of this. (The shell is porous remember?) Oil can stop egg whites whisking into peaks, so you can’t make meringues with them. You must also be eating traces of whatever they have coated the shell with, which is a bit worrying. Duck eggs have more porous shells than chicken eggs. I always cook duck eggs thoroughly. To return to the first question, how long can you keep eggs for? One guide is the US legal requirement: they must be processed within 30 days of laying, and then are considered safe to eat 5 weeks beyond the date they were packed. Which adds up to about 2 months. Storing eggs in a fridge will help them last longer, as it slows the growth of any bacteria. A fresh egg has a nice clear white, and older eggs will have a yellowy white. As eggs age, they lose some of they elasticity, so become less good for baking, but they are still fine to eat. The older the egg, the more time bacteria will have to grow (and don’t forget, salmonellosis is only one kind). The older the egg, the better it should be cooked. I guess that eggs which come from intensively farmed birds are more likely to have been pooped on, and therefore more likely to be covered in bacteria. Which is another reason for only ever buying free range chicken eggs. Please don’t support farmers who have unhappy birds. 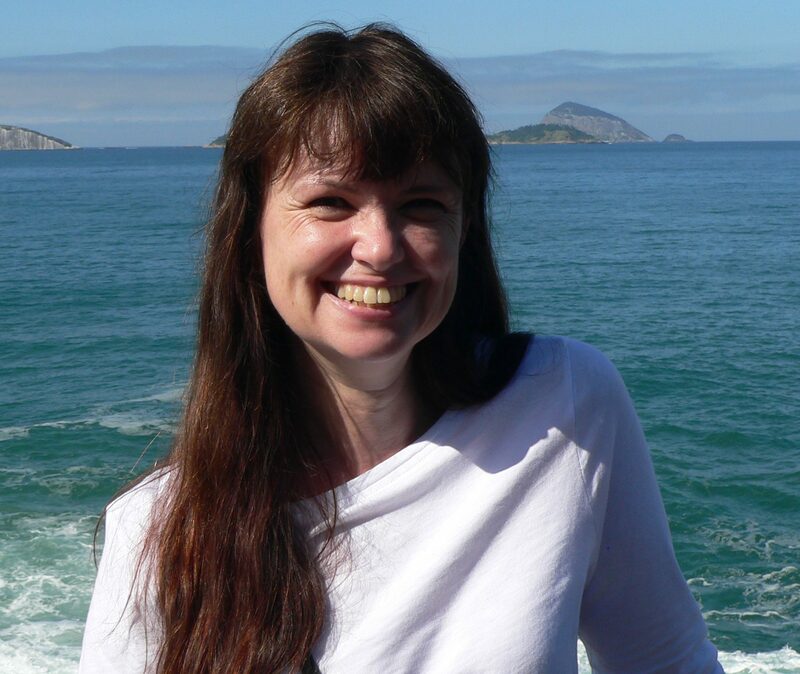 Anne E. Thompson is the author of several novels, available from bookshops and Amazon.